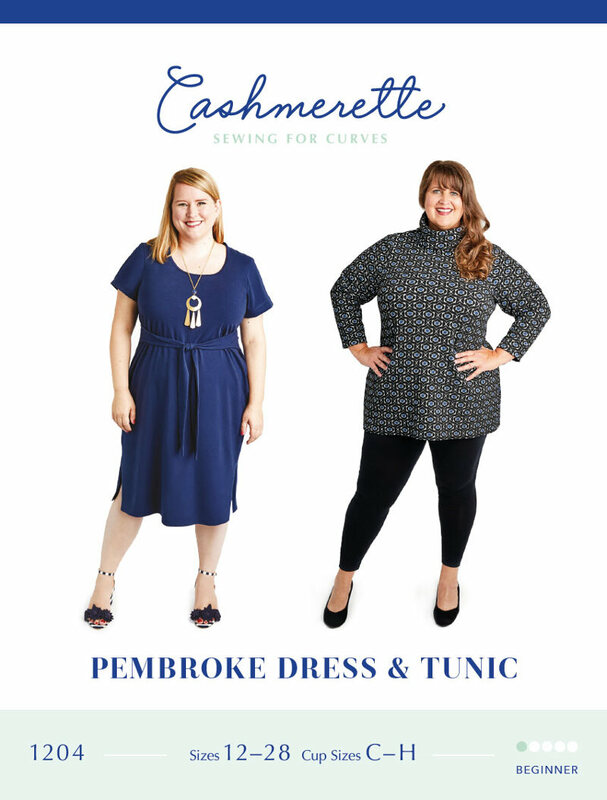 #About#Take on your day with the Pembroke Dress & Tunic! 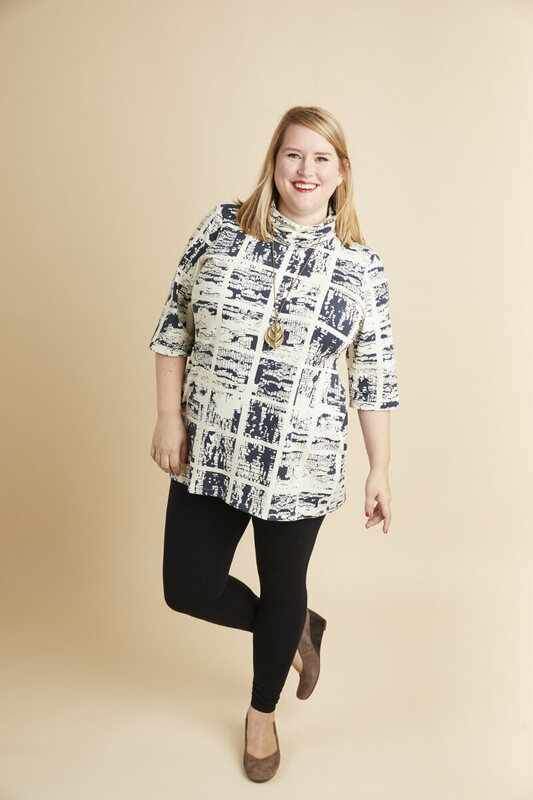 This iconic T-shirt dress, in midi or tunic length, is designed for curves with an optional waist tie and modern split hem detail. 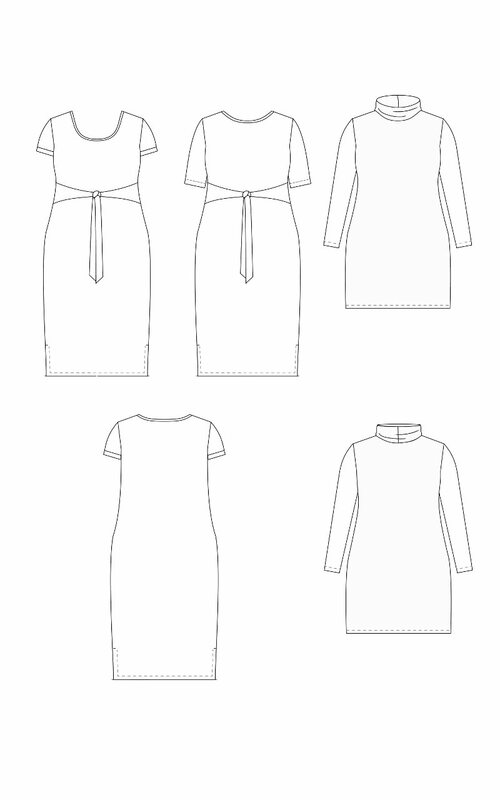 Choose from three neckline options (scoop, jewel, or turtleneck) and either cuffed or hemmed sleeves. 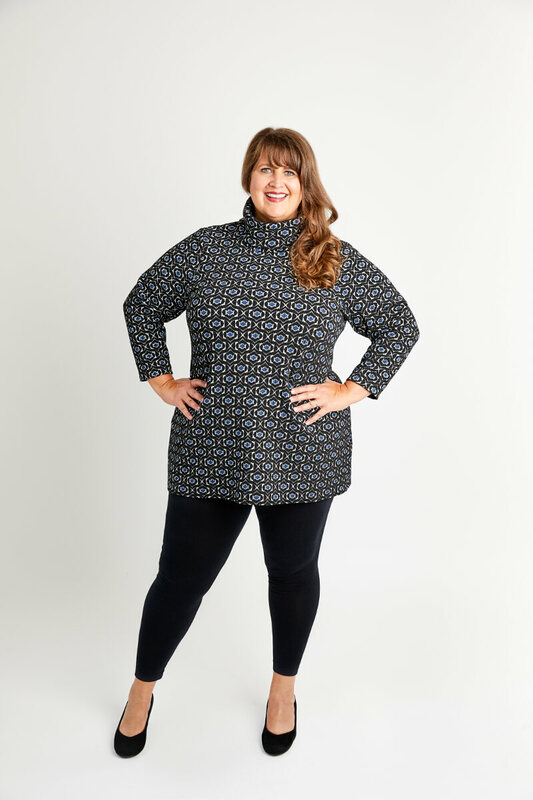 Whether made up in a lightweight ponte or flirty floral jersey, there’s nothing basic about this wardrobe essential! 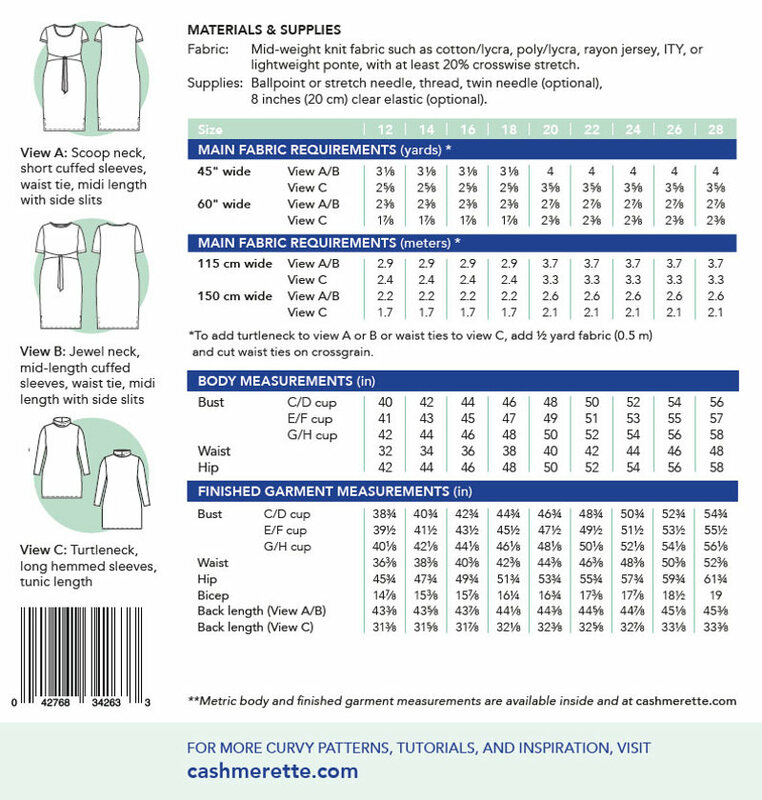 #Fabrics#Mid-weight knit fabric such as cotton/lycra, poly/lycra, rayon jersey, ITY, or lightweight ponte, with at least 20% crosswise stretch. #Notions#Ballpoint or stretch needle, thread, twin needle (optional), 8 inches (20 cm) clear elastic (optional).